I am a proud Prius driver and was shocked to hear that my little electric car is supposedly out of style…what the F#$%? This obviously needs a little more investigation! At a renewable energy conference scheduled for this April, scientist Mehrdad Ehsani, from Texas A&M University will explain why the future is dim for electric vehicles. Dim…ugh! Ehsani is director of the Sustainable Energy and Vehicle engineering Program at A&M, leading the Power Electronics & Motor Drives Laboratory. He further speculates that Electric vehicles will never replace the internal combustion engine. According to Davis Swan an important question to ask is whether or not internal combustion will replace powered vehicles or will they represent a “green” niche market for decades to come? The IEA, reports that over the past few years, electric vehicles (Evs) have seeped into public consciousness. Those endorsing Evs advertise them as essential for reducing dependence on oil and reducing the world’s CO2 emissions. But is that really the case? Or will they only play a small role in improving energy security and winning the battle against global warming? The questions about Ev’s go far beyond the impact on the automobile manufacturing industry. BTW, the automobile manufacturing industry is one of the largest industrial concerns worldwide. However, there is an impact, both positive and negative, upon electricity utilization and the grid that will in many ways shape future decisions about generation and grid management. The ultimate goal is to eliminate our use of hydro-carbons, including gasoline. This is only achieved by pure Evs, such as the Tesla. The Chevy Volt can travel approximately 45 miles on battery power alone under good conditions. 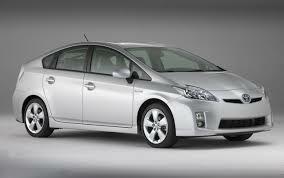 The Plug-in Hybrid version of the Toyota Prius is rated at 14 miles. The Tesla on the other hand has its shortcomings. The struggle to provide charging stations across the country has this Ev parked. So what is a girl to do…my Ev really may be a passing fad! Who wants to go up against the automobile industry? Much less the almighty oil industry! The odds may be stacked against Evs, but I will stick with my 14 miles of electric energy, thank you very much!